First time I've seen a diner that closes at 9:00 pm. Is it any good? Stormy and I have seen quite a few local establishments open in Seminole Heights. We were some of the first customers of Angry Chair, we were around for the Seminole Heights Wine Bar, we eagerly awaited the opening of Revolution Ice Cream, I was at the Brew Bus opening... Long story short, we're very familiar with the area. We spend a lot of time here. So, you can imagine our shock when we learned that the abandoned building that Angry Chair rents their parking lot from was finally going to become something other than a building with potential on Florida. "Another restaurant?" was the question I asked. The answer was "yes" and it's one of the few places in the Heights you can go to get a "normal" meal. This isn't to discredit the amazing establishments that Seminole Heights has, but it is nice to be able to get a burger, grouper sandwich, or even just some chicken without all the flair. But you didn't come here for that. 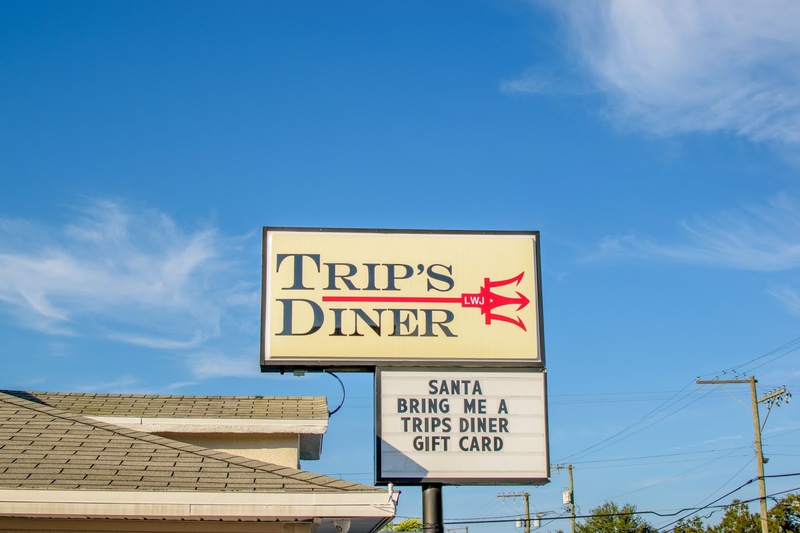 Trip's Diner is a concept out of the Crescent Lake neighborhood of St. Pete. They chose another location in Seminole Heights because, well, the rent's cheap(ish) and it's the current hot spot to be. They serve up breakfast, lunch, and dinner. The biggest issue with Trip's, to me, is their ridiculous closing time. While everything else in the Heights seemingly stays open until midnight (at least on the weekends), Trip's closes at 9:00 pm. Every. Night. Except on Sunday when they close at 3:00 pm. This made it impossible for Stormy and I to make our way down there. Once you are able to make it, though, you're treated to a beautiful, open restaurant with friendly, quick staff. The high point of this restaurant is the staff. I've never had an unfriendly waiter/waitress, host, bartender, anything. We've been twice now and this has been true both time. Our drinks are always filled, the food comes out quick, and the service has never suffered. If that's all that's important to you, then you'll be very happy with this restaurant. 1) I get very excited. 2) I get very worried. These two thoughts went through my head when I ordered this Cuban sandwich. Why did I order a Cuban here? I was feeling ambitious and I've ran into a few gems (Stone Soup Company, I'm looking at you!). I'm also one of those people who believes that, if you're going to do something, do it well or it's not worth doing. ESPECIALLY when that thing is the signature sandwich of the city that you open up in. This sandwich is downright offensive to anyone who has eaten a real Cuban. 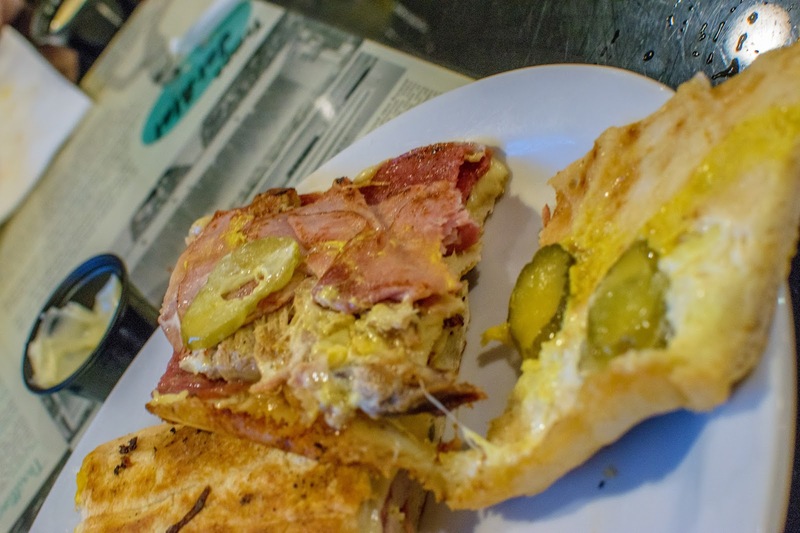 Imagine being a tourist, hearing about this infamous Cuban sandwich, settling on Trip's, ordering this Cuban... I couldn't, in good conscious, suggest that. Unfortunately, this Cuban sandwich was not my favorite. Actually, if I had to rank them, this would rank somewhere under a gas station Cuban. The thick cut, sweet ham lazily thrown on bread I can't even be sure is Cuban, accompanied by pork that you had to search for, and salami that was significantly thicker than the ham does not work. This didn't even make for a good sandwich, much less a good Cuban. This is Tampa. There's no reason to have a Cuban this bad on the menu. I really hope someone fixes this. The Heights could really use a good Cuban on a menu (besides The Independent). Now that the negative's out of the way, lets talk about their other food. The fries are, without a doubt, some of my favorite fries in Tampa. You can't get better. Perfectly crispy, just the right amount of seasoning, fried to perfection. The burgers themselves tend to be hit or miss, but even when they miss, they're edible. Trip's offers up a variety of exotic cheeses, which is a nice touch. 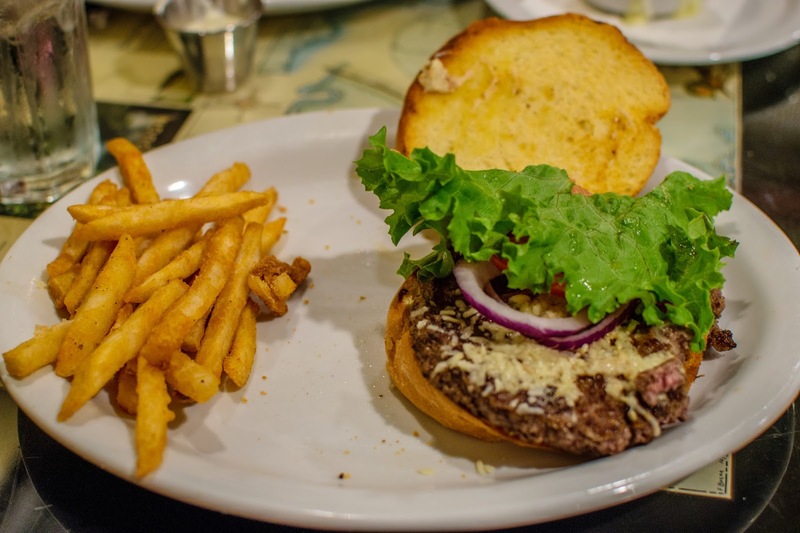 I decided to go for the Asiago cheese on my first burger, which was a nice touch to a classic meal. The burger I got to replace my Cuban, I settled on Gouda, which is one of my all time favorite cheeses. The burger the second time wasn't of the same quality as the first, which leads me to believe that they have a newer chef, are changing the recipe, or I just came on a really off day. The burger was dry, definitely not medium, and the bun just tasted... Burnt. This is in stark contrast to our first trip where the Asiago burger was one of my favorite burgers in the Heights. Stormy played it smart the second trip. She found a sandwich she really enjoyed (grouper) and decided to get it again this time. I will say that the light breading was just right for the frying they do to this fish. The fish had a subtle taste (as grouper does) and goes well with the toasted bun and mayo. Full disclosure: I don't like grouper at all. That said, I wasn't the one eating it. This was Stormy's sandwich and she had absolutely no complaints about it. 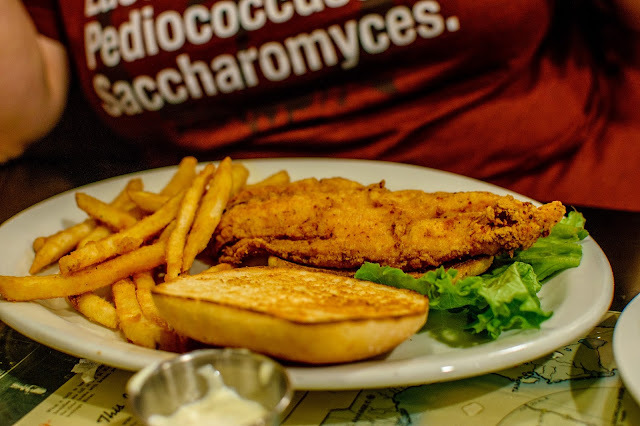 This leads me to state that, if you already don't like grouper, don't expect this sandwich to change your mind, but if you're a fan of the infamous grouper sandwich, this one should be on your foodie bucket list. Stormy was also told of their cheesy grits. I will say that, as someone born and raised here in Florida, grits have to be my least favorite food item. Ever. Luckily, I have Stormy for all the food I don't care for! She says that the cheesy grits definitely lived up to the hype. I'll take her word on it. - I think I made this clear earlier, but avoid the Cuban at all costs. 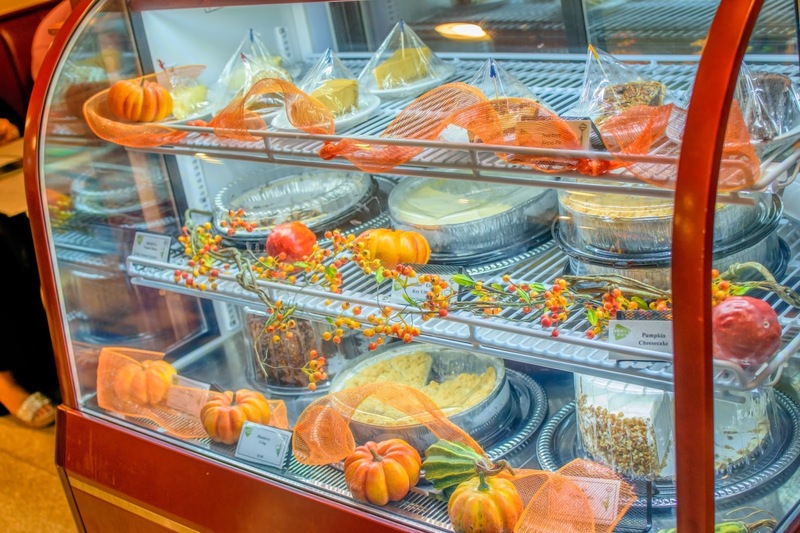 - Use typical diner rules and you will have an awesome experience. - The wait staff is some of the friendliest you'll run into at any local establishment. - If there's an event going on at Angry Chair, expect the parking to suffer. - They close at 9:00pm (and 3:00 pm on Sunday). You'll have to be there early. Have you had the Cuban? What is your favorite breakfast food? Leave a comment below. If you'd like more information on Tampa, check out my YouTube Channel and if you'd like to support my efforts, don't hesitate to buy a shirt from our Spreadshirt (we have new designs!). Also, don't be afraid to click subscribe and you'll instantly be notified whenever a new entry is posted. Thank you all and I will see you next time!